Performers include: Hugh Bonneville, Jessica Brown Findlay, Laura Carmichael, Jim Carter, Brendan Coyle, Michelle Dockery, Kevin Doyle, Siobhan Finneran, Joanne Froggatt, Thomas Howes, Rob James-Collier, Allen Leech, Rose Leslie, Phyllis Logan, Elizabeth McGovern, Sophie McShera, Matt Milne, Lesley Nicol, Amy Nuttall, Maggie Smith, Ed Speleers, Dan Stevens, and Penelope Wilton. The TV series begins in 1912 and is set in the fictional Downton Abbey, a country house Yorkshire. It follows the lives of the aristocratic Crawley family and their servants during the reign of King George V.
The estate stands a splendid example of confidence and mettle, its family enduring for generations and its staff a well-oiled machine of propriety. But change is afoot at Downton — change far surpassing the new electric lights and telephone. A crisis of inheritance threatens to displace the resident Crawley family, in spite of the best efforts of the noble and compassionate Earl, Robert Crawley (Hugh Bonneville); his American heiress wife, Cora (Elizabeth McGovern); his comically implacable and opinionated mother, Violet (Maggie Smith); and Mary, the beautiful eldest daughter who’s intent on charting her own course. The Downton staff is led by butler Charles “Charlie” Carson (Jim Carter) and housekeeper Mrs. Elsie Hughes (Phyllis Logan). Working under Mrs. Hughes are Sarah O’Brien (Siobhan Finneran), Lady Grantham’s personal maid; head housemaid Anna May Smith (Joanne Froggatt); cook Beryl Patmore (Lesley Nicol); housemaid Gwen Dawson (Rose Leslie); and scullery maid Daisy Robinson (Sophie McShera). Working with Mister Carson are underbutler Thomas Barrow (Rob James-Collier) and second footman William Mason (Thomas Howes). As the series begins, Lord Grantham hires his former batman, lame John Bates (Brendan Coyle), as his valet — much to the chagrin of some of the staff. Reluctantly, the family is forced to welcome its heir apparent, the self-made and proudly modern Matthew Crawley (Dan Stevens), himself none too happy about the new arrangements. As Matthew’s bristly relationship with Mary begins to crackle with electricity, hope for the future of Downton’s dynasty takes shape. But when petty jealousies and ambitions grow among the family and the staff, scheming and secrets — both delicious and dangerous — threaten to derail the scramble to preserve Downton Abbey. What do you think? Do you like the Downton Abbey TV series? Do you think it should be ending or be renewed for a seventh season? It think it should be renewed! What is on now is terrible! So sorry it is ending, but they, writer and cast members, all want it to go out on top. Sundays just won’t be the same without it. 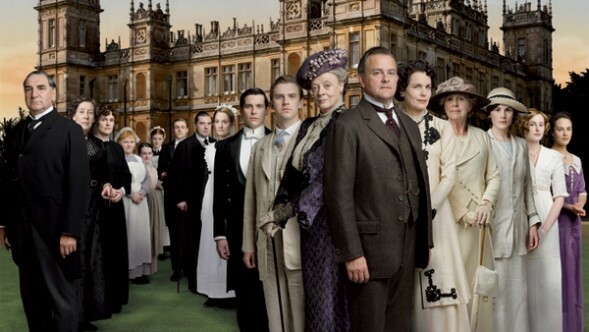 I have become enthralled with Downtown Abbey and all of the characters residing there! There is so much left to tell that won’t be explained in one final season!! Please, please continue on with Mary, Edith, and their relationship with (or jealousies for lack of) their father. Will Mr Bates and Annie ever have a child? If not, why?? The devious staffers, will they get theirs?? SO many questions that need more seasons to answer. Got hooked on it and watched all 5 seasons in two weeks. So looking forward to Season 6. It is a beautiful show. Love it. Downton Abby A great production! Love to see it go on! I look forward to watching this show every week. They have a good thing going and should keep the show as long as they can. Love the show. Hope it will never cancelled. I enjoy watching it. Love the people that are in the show. Please continue on with this show and the people. Thank you for a good entertainment. I love that show. Wonderfully done. Hope it stays on for a long time. I love this show.Downton Abbey history relate.It teachs you about people live at that time.How families and the help had close realtionship and respect for one other. I love this show It break heart that wanted to cancel it.I want see wahat happen to Mary and mean sister. I love Downton Abbey and I can hardly wait for the next season. I love Downton Abby. I think it is the best program on TV. I think every part of the program is great, not to mention no commercials. It should be renewed, it’s loss would be a loss for PBS.